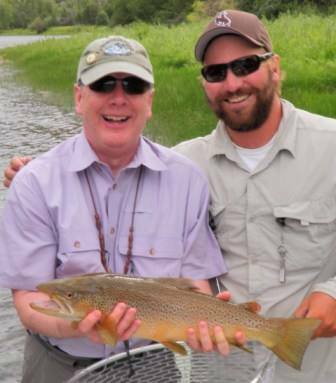 The current cost of a Wyoming non-resident daily fishing license is $14 per day, per fisherman. Also available now is a 5 consecutive day nonresident license for $56. 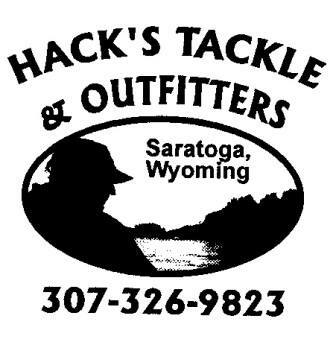 Hack's is an authorized license selling agent so you can have us issue the type of license you want when you arrive for your fishing trip. 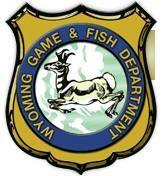 For those of you who want to bring your own boats into the state to float the river yourselves, be advised that as of April 1, 2013, the Wyoming Game and Fish Department is requiring that all boats entering the state must be inspected for Aquatic Invasive Species each time you enter the state. After a successful first inspection, you are required to purchase an AIS decal. You are not required to purchase an AIS decal each time you enter the state. 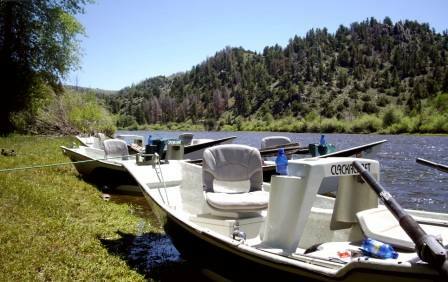 Cost of the AIS decal is $15 for non-resident non-motorized watercraft and $30 for motorized watercraft. In addition to the inspection sites at ports of entry, Hack's Tackle is a certified inspection site. We will charge for this service, however, so if you prefer not to pay us to perform the inspection, stop at one of the State of Wyoming operated sites. You may purchase your AIS decal at Hack's. 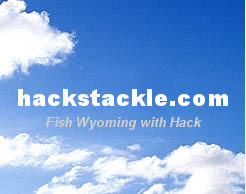 Hack's Tackle is an equal service provider permitted by the Medicine Bow-Routt National Forest and the BLM.